"I just want to send you a short note to thanks you for all you did to help us out with our bailer. Your crew did a great job, very professional! When we need another piece of equipment, we will definitely contact you. Thank your crew for us..." Steve K.
"I wanted to be sure and say: we are impressed with the baler and belt. The coordination has gone well, including the delivery. Your installers,..., have been a pleasure to work with. They put this project together demonstrating skill and profesionalism the whole time...." Marcus M.
From simple sheet metal alterations to complete Turn-key Blowpipe Systems on entire Paper Plants, REC has designed, manufactured and installed across the country hundreds of custom paper trim and scrap removal or handling systems in the Printing, Corrugated Box, and Paper Converting Industries. Our in-house engineers and CAD designers can inspect your trim, scrap, reclaim, chad, matrix, dust and other waste generated from slitters, re-winders, cutters, and trimmers to design an automatic air or pneumatic duct conveying system to efficiently remove and transport material to a centralized area for compacting or baling. REC understands the requirements of grade separation and the maximizing of waste recovery dollars with the reduction of operation and labor costs. 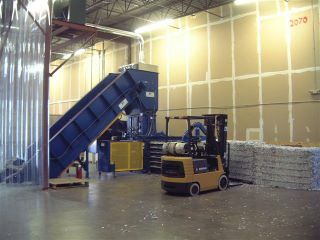 Distribution centers generating large volumes corrugated boxes of varying sizes require special balers for their needs. 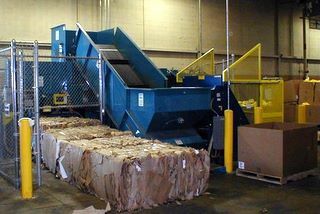 REC can properly match waste tonnage, box sizes, conveyor feed rates, and peak seasonal demands to the proper baler feed opening, cylinder size and horse power of a new or used Corrugated Box Baler to maximize productivity and minimize operating cost. We have installed systems around the country in many of America's top retailers and fortune 500 companies. Our full service teams can help you remove, install, relocate, service or train operators and maintenance departments, or to provide parts and major rebuilds on any Baler, Cart Dumper, or Conveyor. See REC for everything from a basic office shredder, a departmental shredder, or an industrial high security (NSA/DOD approved) shredder in a specialized, state-of-the-art, security shredding system line with integrated paper sorting and automated balers processing over 20 ton per hour. We have the equipment and knowledge to economically and securely destroy your old documents and turn your waste paper into recycling dollars. 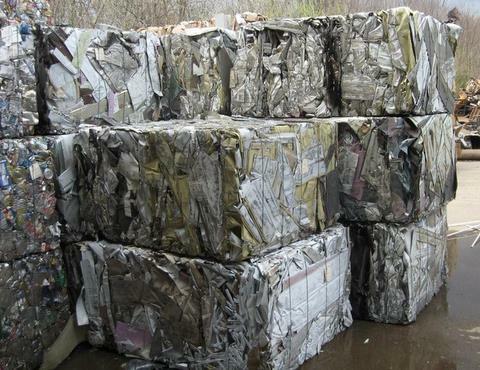 We also do commercial and industrial scale units for Shredding Companies offering services for profit. Our computer-aided design (CAD) technology can provide detailed diagrams showing the most efficient layout of a shredding system within a facility and our installers and service techs can help maintain it. New and used equipment is available to maximize capital investment. 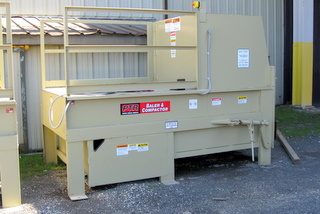 REC has new and used balers for sale that can bale most materials from paper, plastics, foam, steel, copper, aluminum, nonferrous scrap, textiles and clothing, garbage, etc. Let us help you apply a conveyor, cart dumper, baler, or compactor to get rid of your scrap for disposal or for recycling revenue. Our knowledgeable and experienced sales staff has probably seen some of your toughest equipment applications and can evaluate your needs and can find a machine in your budget to solve it. 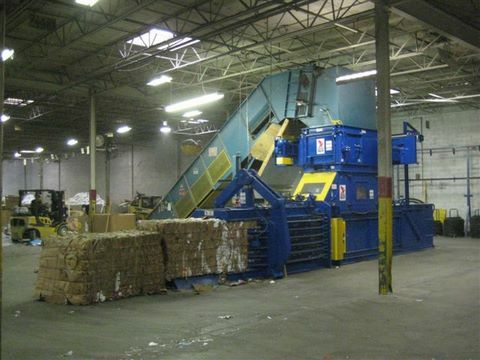 REC has designed and installed complete Sorting and Processing Facilities for many municipal and private companies covering all aspects of recycling and material recovery including commingled plastic, cans, glass and fiber cleaning/sorting lines. Recycling Equipment Corporation specializes in the Application, Design, and Installation of large High Volume Non Ferrous Balers and Conveyors Systems for all Metal Scrap Recyclers. Equipment for economically processing aluminum, copper, tin, wire, stampings, etc. 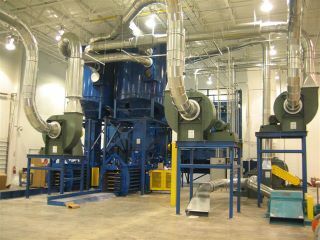 Recycling Equipment Corporation specializes in the Application, Design, and Installation of large High Volume Balers and Conveyors Systems for all Paper Fiber Scrap Recyclers and Processors. 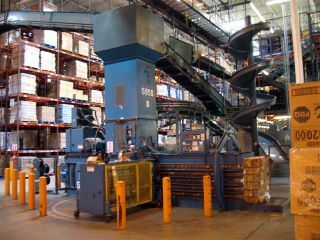 Equipment for economically sorting and baling news, corrugated, OCC, printers waste, and mixed paper from 1 to 50 tons per hour!! 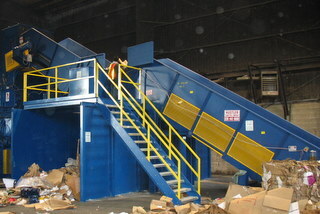 Recycling Equipment Corporation installs and services trash compactors. Click here to view many of the different Layout Options.